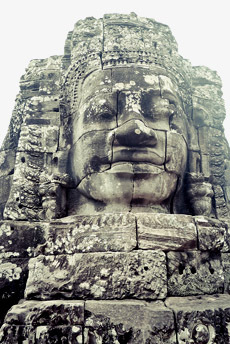 Cambodia is worldwide known as “the land of smiles” and “a land of hidden treasures”. 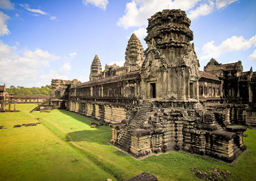 From its capital city Phnompenh, where “time stands still” to the Tonle Sap Great Lake and amazing Angkor temples, Asiatica Travel will show you all about a Cambodia you always dream about. 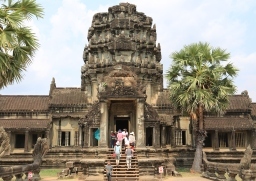 You will see Angkor Wat, the world largest and maybe most impressive religious monument and the Ta Prohm nestled in deep jungle where much of Tomb Raider was shot. A boat trip on Tonle Sap Lake allows you to discover the natural wealth of the country as well the generousity of its people: their smiles and their unique way of life on the water with floating villages dotting the lake. This is a journey of dream, a journey of legends and a journey of wonder that will last in your memory for a life time. Upon arrival, you will be welcomed by our guide and transferred to your hotel for check in. Free time at your own leisure for a rest. 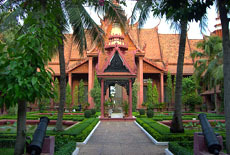 Have dinner and overnight at hotel in Phnom Penh. A full day trip around the city starts by visiting Royal Palace compound built in 1866 and Silver Pagoda (The Emerald Buddha temple), which houses a great number of Buddha Statues decorated and made by diamond, emerald, gold and silver. 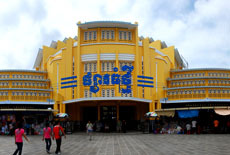 Continue the city tour, we enter the National Museum, an impressive red building with beautiful Khmer architecture built in 1917, the Independence Monument constructed in 1954 after Cambodian took their country back from French colony and Wat Phnom which was built by lady Daun Penh in 1372 on top of a hill. 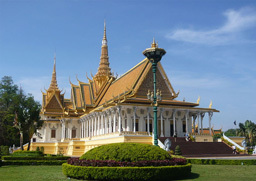 Today, Wat Phnom remains the highest point in Phnom Penh and offers fantastic views of the city. Have lunch at a local restaurant. 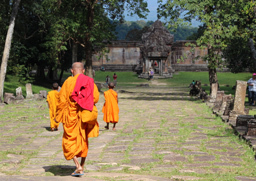 In the afternoon, have a look in to the country's tragic recent history, a tour of Tuol Sleng Prison (S-21) and the Killing Fields is a sobering reminder of the evils of the Khmer Rouge regime. Although not a joyful tour, visiting these monuments unlocks keys to understanding the development of this still developing country.Wrap our city tour with a stroll around Russian market to discover the local life. Overnight in the hotel. After breakfast drive 168km to Kampong Thom- a picturesque town situated on the bank of the Tonle Sap Lake. En route, drop by Skun market-the unique place selling spider in Cambodia. Crossing the beautiful landscape of the Cambodian countryside, we reach Sambor Prei Kuk which was the ancient capital of Chenla built in the early seventh century. 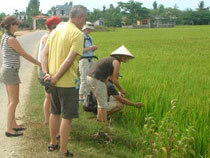 Countinue drive 147 km to Siemreap passing quaint villages and lush rice plains. Stop at Kompong Kdei to admire an old bridge dated back more than 1000 years, built under the reign of king Chayravaman VII. Overnight in the hotel in Siemreap. 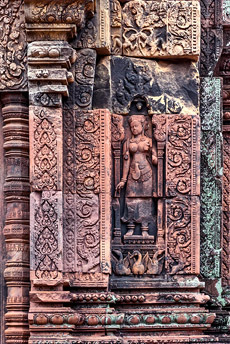 - Lolei temple constructed in 893, is an island temple dedicated to members of the royal family and the Hindu God Shiva. The afternoon is spent for exploring the amazing World Heritage "Angkor Wat" - the world's largest religious building, and Phnom Bakheng (Bakheng hill) the first major temple to be constructed in the Angkor era, marking the move of Khmer empire's capital from Roluos to Angkor in the late 9th century AD. Overnight at the hotel. 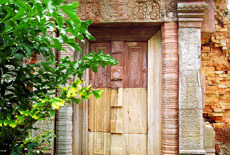 Morning visit to the “Small Circuit” group of temples including: Ta Prohm embraced by the roots of enormous fig trees. 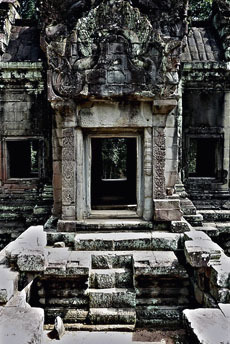 This is one of Jayavarman VII's first major temple projects dedicated to his mother, Thommanon built at the same time with Angkor Wat and Chau Say Tevoda temple, Banteay Kdei – surrounded by four concentric walls, Srah Srang – “The Royal Baths" was once used for ritual bathing and Ta Keo known as “ The mountain with golden peaks” dedicated to Hindu God Shiva. The afternoon spent for visiting the “Grand Circuit” including: Pre Rup- a temple-mountain with beautiful bas reliefs and excellent views of the surrounding countryside, East Mebon- a large temple – mountain dedicated to Shiva in honor of the king’s parents, Tasom- the most distant temple of the Grand Circuit, Neak pean a small island temple originally dedicated to Buddha and the Preah Khan dedicated to Jayavarman VII's father. Overnight in the hotel. Boat tripsas mentioned in the program.